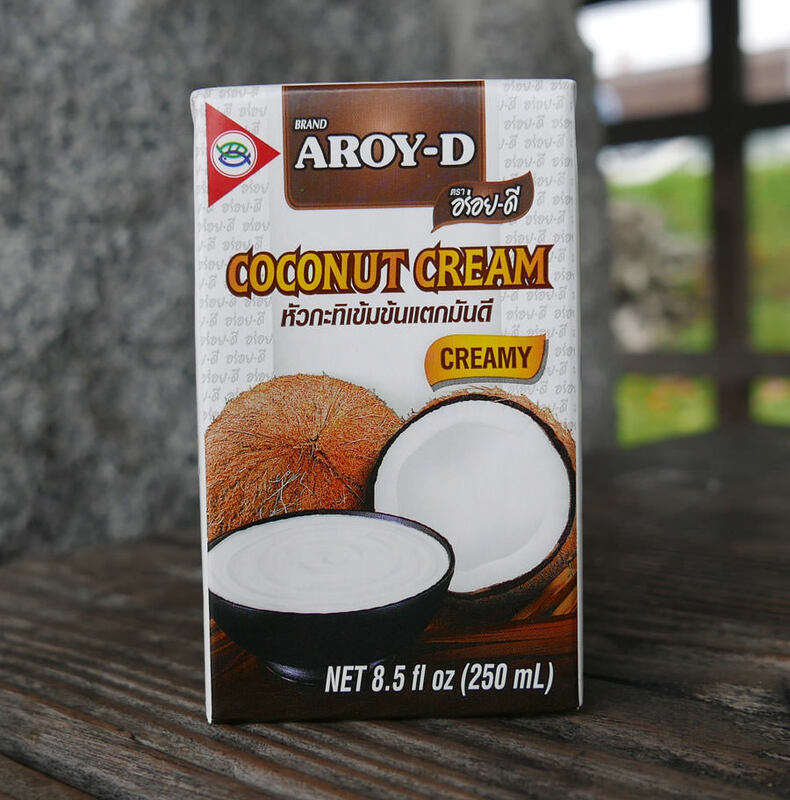 All natural coconut cream in the small 8.5 oz box is a new product from Aroy-D, as previously it was only available in the larger 33 oz boxes. The new convenient 8.5 oz box is slightly more than 1 cup. The richest liquid comes first, has higher fat content, and is generally preferred for making the best tasting Thai curry and soups. There is no difference between 'milk' and 'cream', only the fat content -- the two look identical. We also offer Aroy-d all natural coconut milk.